Light suitcase, no worry on the horizon: let’s set off for Gardenia! 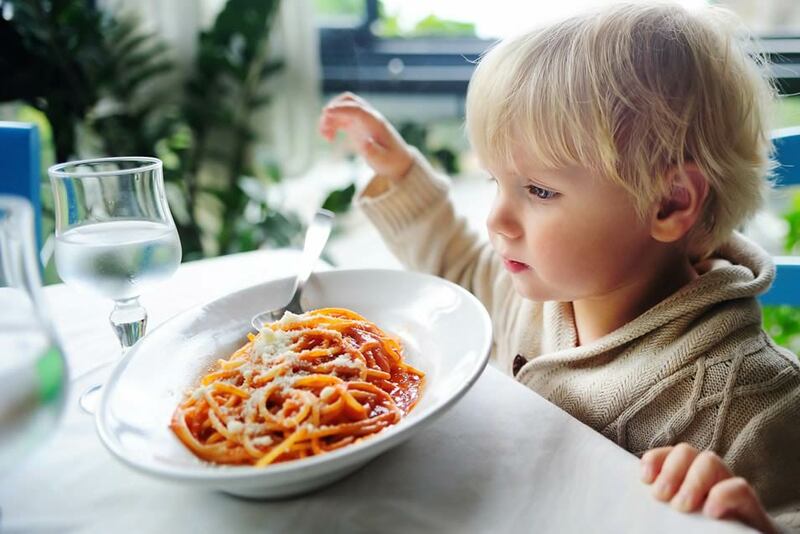 Children are our great fans because they find everything to feel good here… and the same goes for you! Hotel Gardenia is situated just 3 metres from the beach, and this is a priceless convenience. 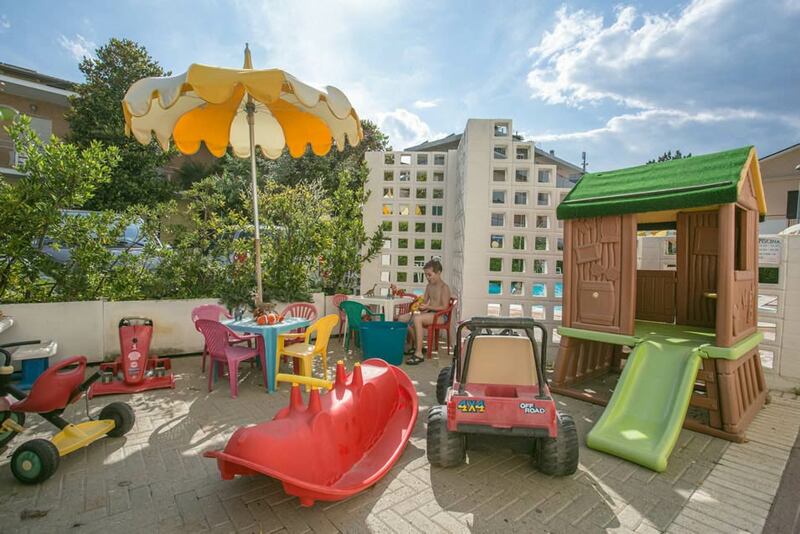 Igea Marina itself is a perfect place for families with children, quiet and green (in the park with pond 300 metres away from the hotel there is a corral of dinosaurs and primitive men, children’s playgrounds, like Santa Fè close to us). The hotel also has a pool for children with three steps that lead to the first level at a depth of 90 cm, the second at 115 cm and the third at 140 cm. Here children wallow happily and you, lying on sunbeds all around, see them play under the watchful eye of our lifeguard. Children’s playground with swings, castle with three slides, table football, table tennis and a lot more. 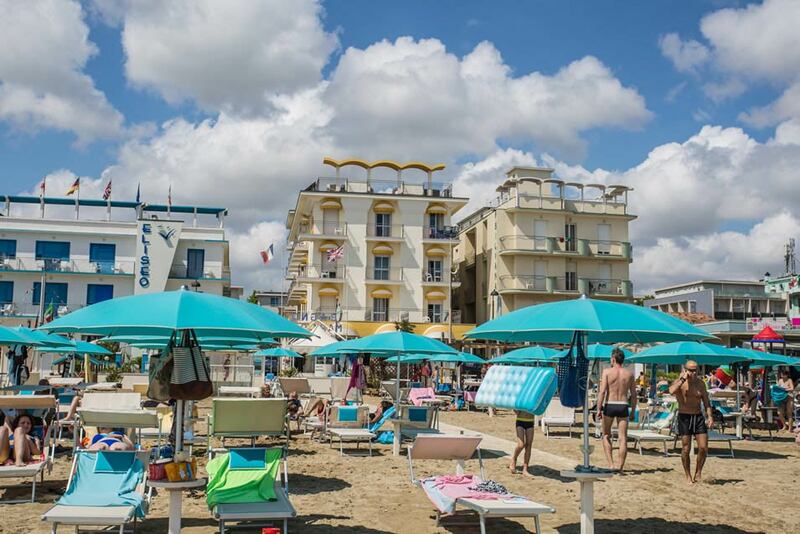 The beach of Igea has received the award of Green Flag, an acknowledgement granted by Italian pediatricians to child-friendly beaches! SantaFè and Paperopoli playgrounds with racetracks for toy cars, trampolines and carousels. At Gelso Park, the town’s largest urban park, is a small lake with ducks and swans. A playground and the Prehistory valley with dinosaurs and cavemen.